Iași is the largest city in eastern Romania (2012 population: 318,871) and the seat of Iași County (Judet). Iaşi was the capital of the country of Moldavia (aka Moldova) for almost 300 years (1564 to 1859). When Moldavia merged with Wallachia in 1859 Iasi and Bucharest were defacto capitals for three years. 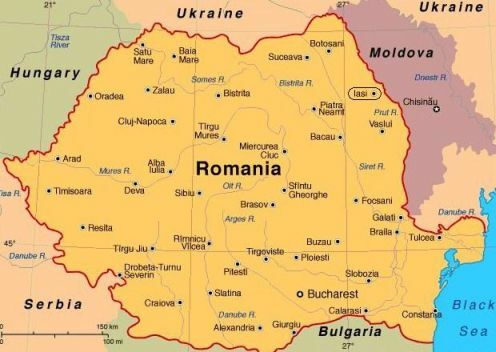 In 1862 the two principalities were recognized as Romania with the national capital in Bucharest. Iasi also served as capital of Romania during World War I from 1916–1918 when Bucharest was occupied by Germany and it's Allies. The first Jewish settlers arrived in Iasi around the 15th century. Isaac ben Benjamin Shor, a Jew from Jassy was steward and chancellor to Prince Stephen the Great who ruled Moldavia from 1457 ro 1504. Isaac also served under Bogdan (1504-1517), the son and successor of Stephen. In 1551, the Jew “Emanuel” was nominated by the Turkish sultan to be the ruler of Moldavia, however it is not clear whether he actually ruled. At the end of the 16th century, the Jewish settlement in Iasi became a stopover place for Polish merchants on their way to Bessarabia and the port at Galati. Several Moldavian princes used Jewish doctors, who also served political roles. The trade in wine and hard spirits at that time was almost solely in Jewish hands. In the 17th century, Iasi served as a stopover for immigrants from central and eastern European countries and Jews slowly began to settle in the area. In 1855, Iaşi was the home of the first Yiddish language newspaper, Korot Haitim. In 1876 Avraham Goldfaden (right) founded the world's first professional Yiddish Theater in Romania. Iasi's prominence as a major center of Jewish culture is also noted in the area of music. The words of Ha Tikvah, the Israeli national anthem were written by Naphtali Herz Imber in Iasi. Moses Schwarzfeld (1857-1943) writer, publisher, Zionist leader. Elias wrote two highly regarded and interesting articles in the AJY 1901-02: The Jews of Roumania - From the Earliest Times to the Present Day and Situation of the Jews in Roumania - Since the Treaty of Berlin (1878). On the eve of the Holocaust (1930) Jews were the second largest ethnic group with 127 synagogues. After World War II Iaşi played a prominent part in the revival of Yiddish culture but politics and renewed anti-semitism in the 1960s/70s led to a declining Jewish population. Today there are about 300 to 600 Jews and one synagogue. 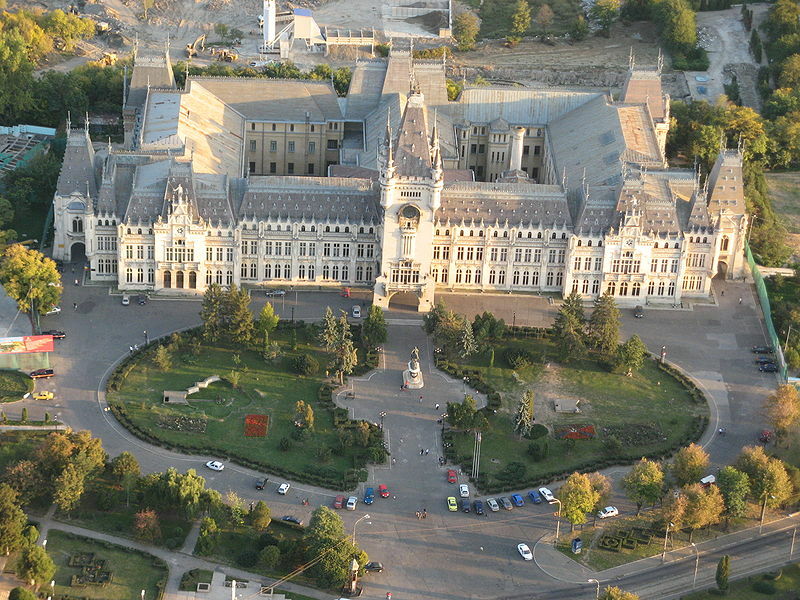 ROM-SIG is currently working on record acquisition for Iasi and other Romanian cities. If you can help please see ROM-SIG VOLUNTEERS. You can also donate funds at ROM-SIG PROJECT DONATIONS to help pay for photographing the records. Please inform ROM-SIG of your donations at: REPORT DONATION. Google Translate - Romanian to English or the Google Chrome browser will translate with a mouse right click when you are on most foreign language webpages. WANTED: Please send corrections, updates or new materal to webmaster. Copyright � 2010-2019 Iasi, Robert Zavos, Webmaster/Coordinator, All rights reserved.